You’ve got incentives in place, but it doesn’t seem like enough, and you need to grow those customer numbers to keep up your profits. This is the point that you might be feeling frustrated with your team and pulling out your hair wondering whether they’re worth all the aggravation. Here is method for finding common ground with your stylists so you can encourage them, and boost your salon’s with customers in the process. You have stylists who have a great eye and do beautiful work? But you don't have customers to service? Here is an online platform where beauticians and customers interact with eachother. 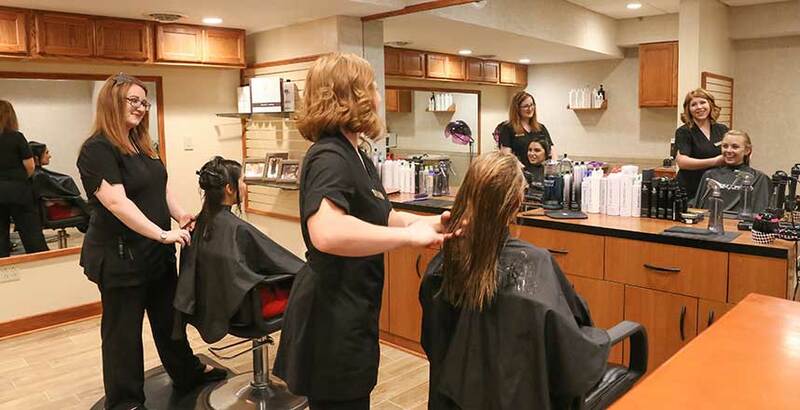 Salon's can improve their business and People can find best Salons here. For both here is a common ground called ebeautician.co.uk . Salon owner's can register here and include your services in your salon's profile in ebeautician.co.uk website. Publish and advertise your salon for free in ebeautician.co.uk. Attract your Customers and get profit with www.ebeautician.co.uk. Who wants to be gorgeous and beautiful to suit with your physic like hairstyle,massage, etc.. Here we have top and best salon's for you with all services like Eye makeup, Threading, Waxing, Nailart, Menicure, Pedicure, Cleanup, Facials, Hairstyles, Coloring, massage, Tan, Yoga, Tatoo, Bridal Makeup, etc... You just want to register and search best, near by salon's. www.ebeautician.co.uk is Online Platform to Find Local Beauticians with real time schedule for booking appointments. Just 5 steps to register and book appointment online.